OLD PARKED CARS. 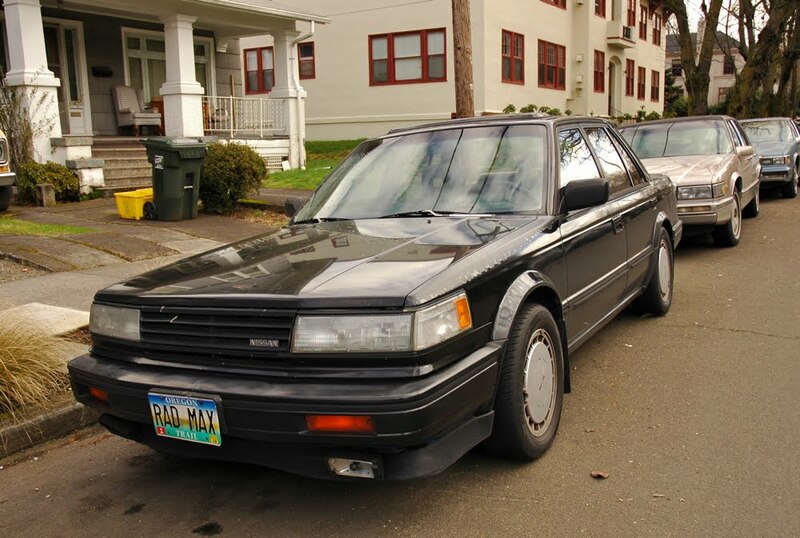 : Saturday Bonus: 1988 Nissan Maxima. 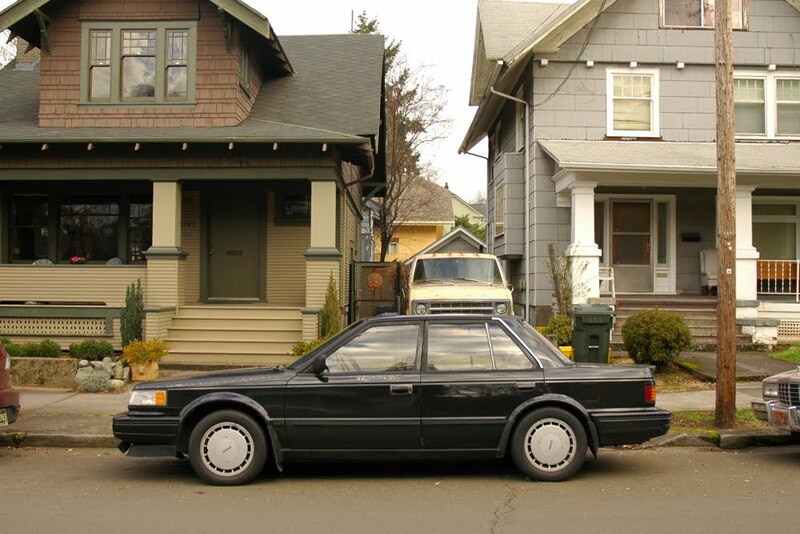 Saturday Bonus: 1988 Nissan Maxima. 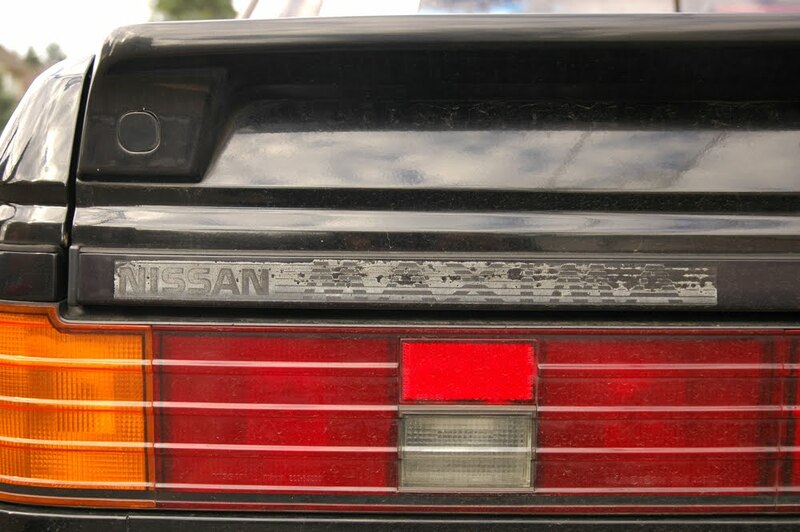 I see a lot of the 80s and 90s cars we post get comments like these, so I thought I'd share a little window into my intent. Seeing this car next in between 2 classics from the 50s and 60s is pretty silly, and it's definitely too common to be a classic. But I do find aspects of it interesting, and I want people to be able to browse this site and be able to see the way elements of cars evolved, the wheels, the wings, the emblems (or in this case, stickers). Obvious classics are fun, but not the only kind of fun. The Nissan tag is a perfect example of what I'm talking about, look at what changed over a 5 year period! I've been staring at these photos for more than 5 months, so I figured I'd throw them up as a weekend bonus post. And as I said been said with the last Camrys, don't expect to see another one. Unless it's really good. @ cam.man;Dude, these are getting pretty rare, I think it's OPC-worthy. Aw man, this thing reeks of late 80's-early 90's. Digging that lipped bumper. These are my favorite Maximas! I think this still looks sharp to this day, especially in black. Black is definitely the color. 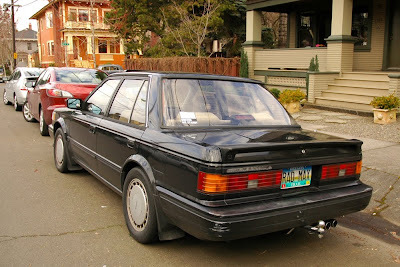 Can you imagine how much rarer and more sought after these would be if they were RWD? Hmm, that previous gen (aka Datsun 810) is all of the sudden looking a little sweeter. I mean come on, the Maxima was the first talking car in the US. I love seeing cars like this posted. In my part of the country, cars of this era, especially in running condition, are already quite rare and their numbers only get fewer with the passing years.